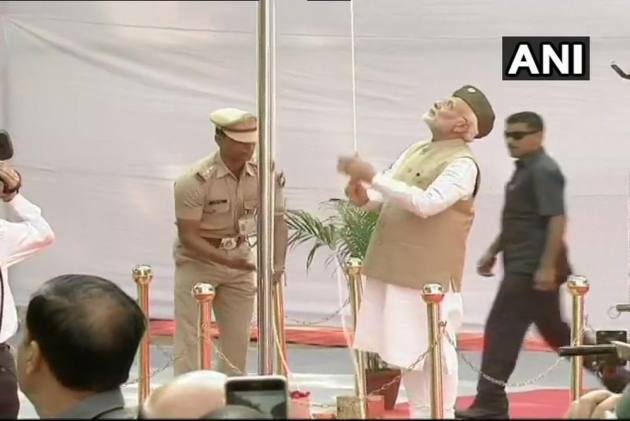 Dedicating the National Police Memorial to the nation in recognition of the supreme sacrifice made by police personnel since Independence, Prime Minister Narendra Modi on Sunday accused the UPA government of its failure in constructing the memorial and said "had the earlier government wanted and tried by its heart, the memorial would have been built several years ago". Modi questioned "why it took 70 years after Independence to get the memorial into reality, why it took so long time even after 60 years of the Hot Spring day incident which is celebrated as Police Commemoration Day?" "A thought to dedicate such a Police memorial to the country's police force came up 25-26 years ago. The memorial also got approval by the then government. Atalji's (former Prime Minister) government took the first step in turning the thought on ground level and the then Home Minister Lal Krishna Advani laid the foundation stone of the museum in 2002," Modi said. "I know that the construction work got affected because of some legal problems but had the earlier government wanted or tried it by heart, the memorial would have been completed several years ago." Accusing the United Progressive Alliance (UPA) government, Modi said "earlier government allowed settling dust on the stone established by Advaniji". "When NDA government came to power in 2014, we passed the budget for it and the museum is today being dedicated to the nation," Modi said on the occasion.